In days gone by it wasn’t unusual for players to be selected for overseas tours with limited First Class experience, and indeed there are some, mainly way back in Victorian times, who did so without having played any at all. More recently Alf Valentine and Sonny Ramadhin toured England in 1950, and made a huge impact on West Indies first series victory here, after just two First Class appearances each. Malcolm Marshall went one better than that as, still a few weeks short of his 20th birthday, he made a single appearance for Barbados in February 1978 before being called up for the tour of India later that year. First innings figures of 6-77 on debut no doubt got Maco noticed, and boosted his hopes that he would start the next domestic season in the Barbados first team, but despite the fact that Kerry Packer and World Series Cricket had taken away from the selectors the names of Andy Roberts, Michael Holding, Colin Croft, Joel Garner and Wayne Daniel, it still came as a great shock to Maco when he received a telephone call from legendary fast bowler Wesley Hall to inform him that he had been selected. Not that Maco was in poor company even then, the quicks accompanying him being Vanburn Holder, Norbert Phillip and Sylvester Clarke, but the wickets were slow and low and the West Indian second string lost the only Test out of the six played that had a definite result. Sylvers and Phillip bowled their hearts out with some success, but Holder’s age and Maco’s inexperience told against them. Maco played in three of the Tests and his 3-265 represented, by a very substantial margin, the worst return of his career. Maco also learned a lot about the intensity of the international game in that series, and the one real grudge that he carried through most of his career had its origins on his Test debut, when he came out to bat with his side handily placed at 383-7. There were no nerves. In his own words Maco was relishing the opportunity of taking on a tiring Indian attack. But he was to be bitterly disappointed; Within a few minutes I was on my way back, sobbing to myself, and swearing vengeance. Maco had come in to face the veteran leg spinner Bhagwat Chandrasekhar. Almost as soon as he arrived in the middle the ball looped from his pad into the hands of Dilip Vengsarkar at short leg. Maco had not got anywhere near the ball, and the huge, and in his view totally needless, Indian appeal was rejected. Later that same over he got a very thick edge on a delivery that went on to his pad. This time the appeal, that Maco described as a near-hysterical crescendo, was granted. Maco was horrified, distraught and very, very angry, particularly with Vengsarkar who, to his mind, had orchestrated his “dismissal”. The combination of Maco’s frustration, anger, inexperience and, in his view certainly, some poor umpiring, were no doubt as much a cause of his poor bowling return for the series as the slow pitches and the quality of the Indian batsmen. Four years later, when India toured the Caribbean, Maco was looking for Vengsarkar. According to his 1987 autobiography the ghost was laid to rest in the final Test at St John’s when he dismissed the Indian for 94 in his first innings a dismissal which, effectively, ensured that Vengsarkar would go through the series without recording a century. The two had had a battle royal between them with Maco finally, after hitting Vengsarkar full on the helmet, rattling him to such an extent that he went for a very foolish hook and was well caught at fine leg. The later removal of his nemesis in the second innings for a duck would have served only to give further long overdue satisfaction to Maco. Despite his words in Marshall Arts whether those two wickets at St John’s really quelled the fires in Maco that Vengsarkar stoked would certainly have been questioned by all those who witnessed the MCC Bicentenary Match at Lord’s in August 1987. This special five day match, pitting 22 of the world’s finest against each other, was interestingly poised before rain washed out the final day. Maco, along with Richard Hadlee and Clive Rice, was the pace attack fielded by the MCC. Their opponents, a Rest of the World XI, were led by Alan Border, who had at his disposal Imran Khan, Kapil Dev and Courtney Walsh. Border’s batting included Vengsarkar. The wicket was a featherbed, and of limited interest to Imran, Kapil, Walsh, Hadlee and Rice, none of whom extended themselves at all, but Maco charged in as if his life depended on the outcome, and Vengsarkar was caught in the gully, having been helpless to do anything other than pop up a catch when Marshall, bowling at full tilt and from round the wicket, had delivered an absolute brute of a bouncer at him. Vengsarkar, one suspects, was happy to see the rain on the final day and not to have to bat again. Having digressed with the Vengsarkar issue it is now time to return to the aftermath of Maco’s debut series. Given his lack of success in India it was hardly surprising that, the WSC players having returned, Maco failed to make the Test side in Australia and New Zealand in 1979/80. But he had had a good first season with Hampshire in the meantime, and as one of the support bowlers on the tour he accomplished all that could have been expected of him, so a good domestic showing back home in the Caribbean after the side returned ensured that he was in the side that toured England in 1980. The pecking order in England was clearly going to be Roberts, Holding, Garner and Croft as the first choice bowling unit but, on the eve of the first Test, Croft went down with stomach problems so Maco got his chance. In the first innings he took the wicket of Peter Willey and then scored 20 valuable runs as West Indies eked out a slender lead of 45. At this time David Gower and Graham Gooch were not yet the players that they became and England’s new skipper, Ian Botham, had a great deal on his personal plate. The West Indies were acutely conscious of the fact that Geoffrey Boycott was the key wicket. England cleared their deficit in the second innings before Gooch was dismissed, but Boycott was looking ominous. When Maco got his turn to bowl at him he produced every bit of pace he could muster and, early on in his spell, let loose a vicious bouncer at the Yorkshireman. In his younger days Boycott had got out a few times hooking and had eschewed the shot for years, preferring to let any short stuff pass safely by. On this occasion, perhaps it was just the paralysing speed, he allowed himself to get tucked up and, so Maco and all his teammates thought, the ball went from his glove into the hands of wicketkeeper Deryck Murray. But Boycott stood his ground, and umpire Don Oslear said “not out”. Maco was furious, it taking all of Holding’s diplomatic skills to even get him back to his mark. The next delivery was, predictably, another short one but this time one that comfortably cleared both Boycott and Murray and went to the boundary. An even angrier Maco swore at Boycott from the end of his follow-through and accused him of cheating. To underline the West Indians cause for concern Boycott went on to make 75, and they had a few nervous moments before getting home by two wickets. But for Maco there was the worry of Oslear having made a formal complaint about his behaviour. The team management, whose duty in those pre ICC Match Referee and Code of Conduct days was to police such issues, kept him sweating before, on the eve of the Lord’s Test, informing him that he had been dropped for disciplinary reasons. Croft returned, but took no wickets and was out for a duck, so it proved to be just a one match suspension. 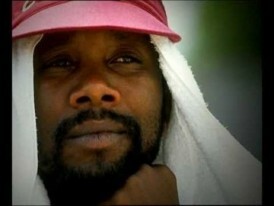 After his return for the final three Tests in 1980 Maco’s performances were steady rather than spectacular but, with Roberts rested for West Indies next tour to Pakistan, and Holding picking up a shoulder injury that kept him out of the international fixtures, Maco played in all four Tests. Again he bowled well, if not quite well enough to be able to lay claim to a starting berth in the side by right. He was therefore bitterly disappointed when the old firm of Roberts, Holding, Garner and Croft were reunited for the first Test against England, when the return series against Botham’s men began in February 1981. He ended up kicking his heels until the final Test when he took the place of Roberts, who had looked a little jaded as, on the first ever Test played on his home island of Antigua, he had failed to take a wicket. That final Test was played at Sabina Park, and the West Indies bowling was opened up by Holding, in front of his adoring home crowd. Maco opened the attack with him, and this was the game when, slipping himself in his efforts to keep up with Holding, he first bowled genuinely fast. In doing so he managed to tweak a stomach muscle which meant that he was able to bowl just five overs in the England second innings, enabling the visitors, thanks to fine innings from Gooch and Gower, to emerge from the game with a draw. Having got to the top of the pile Maco would have been looking forward to testing himself against the Australians on home soil in 1981/82. His wickets on the tour cost him less than ten runs each, hinting at what might have been, but a serious back injury restricted him to just two First Class matches, and he missed all the Tests. So he had to wait until the following summer, at home in the Caribbean against India and Vengsarkar, before he finally established himself as the leading fast bowler in the world. There would have been an element of disappointment in his performance in the drawn series in New Zealand in 1986/87, but either side of that he went through seven series in which he never paid more than 19.78 runs for his wickets, and in 1988 against England he took 35 at a cost of just 12.65 runs each. Gooch, who took over the captaincy of England at the end of a wretched series for the home side, said later; He was simply the most brilliant bowler of my time. Terribly awkward to play and very quick, always wonderfully aware and intelligent, always plotting and probing. It wasn’t so straightforward for Maco next time he met Gooch’s men however, and for a moment in the home series against England in 1989/90 it looked like the great man might go out on a low, but he rallied and fine performances in his last two series, at home against Australia in March and April of 1991, when he topped the West Indies bowling averages, and a few weeks later in England, where he was second only to Curtly Ambrose, ensured that statistically at least there was a fitting climax to Maco’s career. That apart however it was very much a case of going out quietly as, amidst the emotion that accompanied the departure of Vivian Richards from the international stage at the Oval in 1991, no one foresaw that the match that Phil Tufnell turned in England’s favour to enable them to avoid defeat against the men in the Maroon caps for the first time in nearly twenty years, would turn out to be Maco’s last hurrah as well. Most expected him to have a year or two left at least, as his form suggested he should have, but when West Indies failed to reach the latter stages of the 1992 World Cup in Australia and New Zealand Maco was one of those who the selectors let go as they searched frantically and, still to this day unsuccessfully, for his successor. Maco was 33 when his West Indies career ended, and he might have been forgiven for relaxing and coasting through a couple more years before finally moving into a coaching role. But that wasn’t the man he was, and he went on to the last phase of his playing career, in South Africa. When the West Indian rebels had toured a decade previously Maco had been offered, and turned down, a million dollars to join up with them. Now as the country had been welcomed back into the ICC he finally went, and spent four seasons at Natal, in the penultimate one of which, 1994/95, he assumed the captaincy for the majority of the season and led his side to victory in the Castle Cup. He must have been slowing down a bit by now, and by way of confirmation of that this season saw the only time in his career that a batsman was stumped from his bowling, but an overall tally of 35 wickets at 16.17 is testament to his, at nearly 37, enduring quality. Something else that emerged in South Africa was a rather more consistent Maco with the bat. As far as he was concerned he was always an all-rounder, but following any seven from Gordon Greenidge, Desi Haynes, Larry Gomes, Richards, Richie Richardson, Clive Lloyd, Gus Logie and Jeff Dujon meant that runs were seldom needed from him at international level. The situation was little different over his long career in England with Hampshire, Chris and Robin Smith, Greenidge, Mark Nicholas, Paul Terry, David Turner and Trevor Jesty representing a consistently strong top order. In any event his captains could scarcely be blamed for wanting to save their most potent bowler for bowling, but a career average of almost 25, with seven First Class centuries is indicative of a far from negligible talent, and Maco’s last three seasons in South Africa saw him average more than 42 with the bat. That Maco was not alone in his faith in his own batting ability was confirmed by former West Indian batsman Seymour Nurse; I thought he would have made a better batsman than bowler but he proved me wrong. So how good a bowler was Maco? Was he, as the by then Reverend Wesley Hall opined so eloquently in the sermon at his funeral, the greatest fast bowler of all time, or was that too subjective a judgment, understandably produced in the emotion of the moment, but in reality flawed? Of course it is impossible to make a final judgment on the issue, despite what the slaves to statsguru might tell us, but I for one have a sneaking suspicion that, however much the tears in his eyes might have clouded Sir Wesley’s thoughts, that on that one he might just be right. What I will let the number crunchers tell me for certain is that Maco was the finest of that remarkable dynasty of West Indian fast bowlers of which he was such a key part. The three important measures are the traditional bowling average, the average number of wickets taken per match, and strike rate. Maco’s career average for his 376 Test wickets was 20.94, admittedly only the smallest fraction better than Ambrose and Garner, but significantly lower than Walsh, Holding, Roberts, Croft and Ian Bishop, all of whom come in at between 23 and 25. By wickets per match Maco again leads the pack, with 4.64, marginally better than Croft, with the others varying between Garner’s 4.46 and Bishop’s 3.74. By strike rate he is, on 46.70, the only one of the octet to break 50, and by this measure his closest rival from amongst his teammates was the disappointingly inconsistent Patrick Patterson, who struck every 49.30 deliveries. Extending the picture to cover the best quicks from other parts of the cricketing world who emerged just before, during or shortly after Maco’s career and there are a couple with better strike rates. Perhaps surprisingly Shoaib Akhtar is one – the other is Waqar Younis, so lethal in his all too short pomp. Average wise no one matches Maco, and on the wickets per match scale only Richard Hadlee, who had the advantage in that respect of being a lone wolf, betters Maco’s record. Whether Maco was a better bowler than the greats of previous eras is an impossible question to answer authoritatively but he was certainly the complete pace bowler. First of all he was, consistently, genuinely fast. Despite a relatively short, bustling run up he had as quick an arm action as anyone, and that was where most of the pace was generated from. He had a front on action which naturally allowed him to bowl an inswinger but, with a slight repositioning of his wrist, to all intents and purposes imperceptible to the batsman, he was able to bowl an outswinger at will as well. The Marshall bouncer was legendary, his relative lack of stature – he was 5’9″, around the same height as Harold Larwood – assisting him to stop the ball climbing too high and his pace, control, aggression and propensity to bowl around the wicket at times meant batsmen had plenty to worry about. Kapil Dev identified the biggest problem; He was a slippery customer. You never knew whether the ball would rise to your throat, or keep low to hit the stumps. When the umpiring was weak Maco was sometimes intimidation personified, but he had a glorious yorker as well, not quite as spectacular as Waqar’s, but just as effective. He was shown the leg cutter by Dennis Lillee, which he used to great effect on the sub-continent, and he learnt all about reverse swing, the techniques of which he passed on to Lance Klusener and Sean Pollock whilst he was in South Africa, an action which caused considerable suffering for batsmen the world over. As noted by Gooch Maco was also a great watcher of batsmen, probing for weaknesses that, once noted, he never forgot. For the extent of his repertoire Maco might have been matched by Lillee, and perhaps also Ray Lindwall. For a short period of time no one has surely been as consistently unplayable as Waqar Younis at his toe-crunching best in the early 1990s, but whilst it would be quite wrong to describe Waqar as a one trick pony, once a yard or two of that blistering pace went he lacked the variety to consistently dismiss all comers on any surface. It may be that one day Dale Steyn will be bracketed with Maco, but for now he lacks the consistent record against all the Test-playing nations that Maco had. Perhaps it’s just because I am English, and watched Maco slicing mercilessly through England’s batting so often, whereas Steyn’s performances against England have seldom been memorable, but I am going to agree with the Reverend Hall and express the view that Maco was the best of them all. Maco’s tragically early death, in November 1999 at the age of just 41 from colon cancer, was a huge shock, and he had what amounted to a state funeral in Barbados, conducted by Wes Hall and at which his former county captain, Mark Nicholas, read a eulogy as powerful as any that I have ever heard. Maco’s friends, teammates and admirers produced many tributes that brought a tear to the eye of even the most resolute stiff upper lip, but as this is a cricketing article I will finish with the views of the man who once caused Maco such consternation, but with whom he ultimately got on very well indeed, Boycott; he was probably the greatest of all the quicks ……. I thought he was an unbelievable bowler. Lovely work, mate. He was a wonderful bowler. Hard to believe he’s no longer with us. He died way too young. Great article, exceptional bowler and cricketer. Everyone will never agree on where he stands among the great bowlers of the game, one thing though that is undisputed is that he left us too soon and that he was and is sorely missed. Wonderful read, wish I’d been around to witness him & mourn his loss. Does anyone else reckon Marshall’s death represents the greatest loss to West Indian cricket? Between his or Worrell’s. Hare to judge. Worrell would have probably gone into administration, Marshall coaching. I think this is rubbish, frankly. Bear in mind that the Caribbean isn’t a hugely populated region. I reckon there’s plenty of interest in a West Indies side that’s actually half decent at worst; and unfortunately there’s a generation of West Indian fast bowlers that have grown up and been deprived of the opportunity of being mentored and guided by one of the greatest bowlers of them all. Marshall would be 55 if he was still with us and would have plenty still to offer the game, he’d be absolutely nowhere near the ‘**** this, I’m too old for this ****’ stage. You would have to be really stupid to believe that the decline of WI cricket has to do mostly with a lack of qualified bowling support staff. Great to see Fred rate Marshall the best ahead of Sylvers and Larwood while leaving open the possibility that one day Steyn will be up there as well. No shock to anyone, but Maco for me is not only the greatest fast bolwer of them all, but the greatest bolwer period and one of my top three test cricketers to play the game. What a classic sledge it was. I laugh every time I hear that one. From what I’ve read Worrell’s was perhaps the bigger loss to WI cricket. But tragically neither Worrell nor Marshall got to see their mid 40s.